We always want to offer the best products and services to our dear customers. Therefore, we decided to update our purchase policy that will bring more benefits to you. 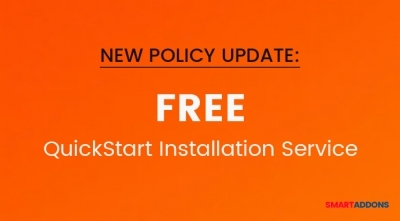 According to the new policy, you will receive our QuickStart Installation Service (regularly worth of $25) for FREE when you join any Joomla Template Clubs or purchase any Joomla Templates, OpenCart Themes at SmartAddons Store. 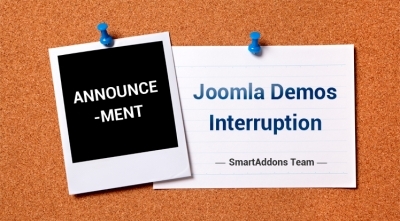 The new policy applies to customers who purchase SmartAddons Joomla Templates from Themeforest as well. Let’s see details below. We always want you to be thrilled with your new purchase. 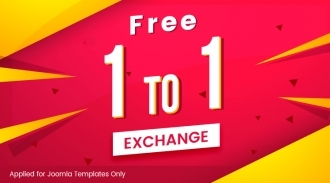 However if you aren’t completely satisfied and want to get another Joomla template, we will happily exchange the template within 7 days of your purchase. Let’s see details below. Why should you choose Joomla Template Club - Developer? Join in Joomla Clubs of SmartAddons will bring you the chance to get access to a big number of professional products that we have developed over the years. Each type of membership has its own merits but in the extent of this post, we will give you 7 reasons why you should choose Joomla Template Club - Developer (JTC-Developer) Subscription as the best choice. It supports you the ability to download not only all Joomla Templates but also Extensions and many other benefits when you participate in. Let's see the following advantages of JTC - Developer! SmartAddons.com is a website for selling CMS products. All purchases will be implemented via online system. In this article, I will guide to help you update purchases from SmartAddons' store. In this article, we want to aggregate the versions of Joomla that our products are compatible. And you can find the template and Joomla version that is suitable with your work. 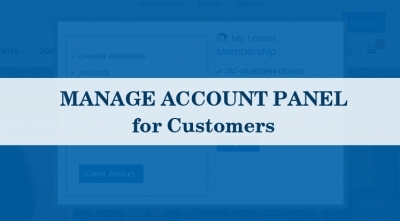 For helping you to manage the account on SmartAddons more easily, we would like to make a clear instruction on how to manage your Account Panel effectively. 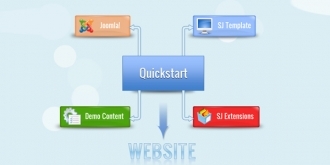 Quickstart Package for Joomla Templates - How to Install it? What's a quickstart package? Why is it included in the template installation package? Yes, this post will help you understand more this powerful package which can help you make a complete online store that looks exactly our demo site. If you want to receive PSD source files for the template that you got from us, please email to contact@ytcvn.com or submit new ticket to our DOWNLOAD Department. We'll send PSD within 24 hours via there. You can click here to submit your requirement.